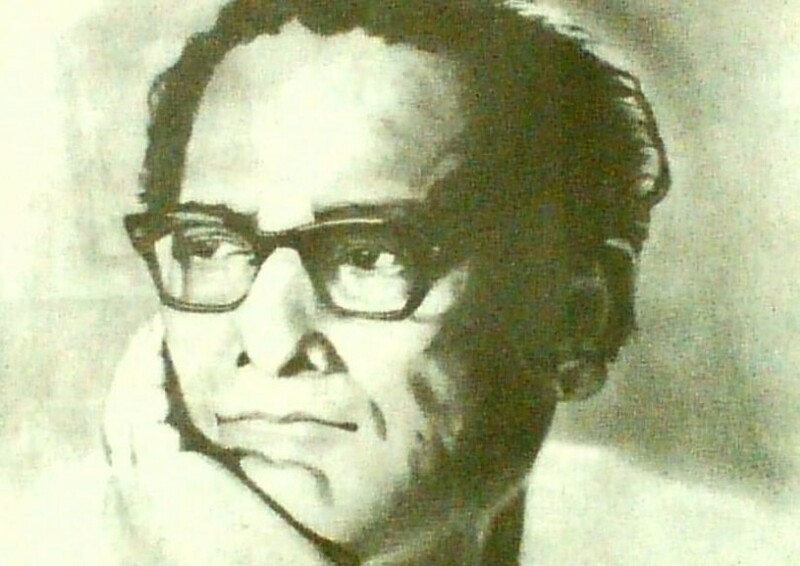 In the 1950s and 1960s, the three most vital people to have working in a Bengali Film to ensure its success were superstars Uttam Kumar, Suchitra Sen and…Hemanta Mukherjee to give music for the film and playback for Uttam Kumar with his deep lilting voice. Besides his phenomenal work as a playback singer and composer par excellence in both Bengali and Hindi filmdom, Hemanta Mukherjee’s biggest contribution more than anyone else has been being the most well-known exponent of Rabindra Sangeet. He left school to concentrate on singing and trained under Phani Banerjee and Shailesh Duttagupta. He sang his first song for All India Radio in 1933, coming out with his first record in 1937 with the still-listened-to songs Janite Jadi Go Tumi and Balo Go Balo More. He initially sang in the style popularized by Pankaj Mullick. Phani Burma’s Nimai Sanyasi (1940) saw him make his debut as a playback singer in Bengali Films. His Hindi film debut as a singer was in Iraada (1944) wherein the music was scored by Pandit Amarnath. In the mid 1940-s, Hemanta became an active member of the Indian People’s Theatrical Association (IPTA) and started an association with another active IPTA member – songwriter and composer – Salil Choudhury. One of the main driving forces behind the establishment of IPTA was the Bengal famine of 1943 and the inaction of the British administration and wealthy Indians to prevent it from happening. In 1948, Hemanta recorded a non-film song called Gaanyer Badhu that had music and lyrics by Salil Choudhury. The six minute song recorded on two sides of a 78 rpm disc was sung at a varying pace and lacked the conventional structure and romantic theme of a Bengali song. It depicted an idyllic, prosperous and caring rural woman’s life and family, and how it gets ravaged by the demons of famine and ensuing poverty. This song generated an unforeseen popularity for Hemanta and Salil in eastern India, and, in a way, established Hemanta ahead of his male contemporaries. Hemanta and Salil paired again in several songs over the next four years and almost all these songs proved to be very popular. Hemanta also turned music director in Bengali Films beginning with the film Abhiyatri (1947). Prominent among his earlier films as composer were two Hemen Gupta films, Bhuli Naai (1948) and ’42 (1949) both of whose music proved extremely popular. Hemanta’s breakthrough song in Hindi films came with Guru Dutt’s Jaal (1952) – Yeh Raat Yeh Chaandni Phir Kahaan. In Bombay he now became well-known as Hemant Kumar. That same year he also made his debut as a music director in Hindi Films with Anand Math (1952), a Filmistan Picture directed by Hemen Gupta. The Film boasted of fine songs such as Vande Mataram set to a marching tempo, Jai Jagdish Hare and Kaise Rokoge Aise Toofan ko among others. While he broke through as a playback singer immediately post Jaal particularly in his association with SD Burman and singing for Dev Anand (House No 44 (1955), Munimjee (1955), Solva Saal (1958), Baat Ek Raat ki (1962)), his big breakthrough as music director came with Filmistan’s Nagin. The film was a phenomenal sucess and in no small measure due to its eminently hummable musical score that caught the fancy of the entire nation. Each of the songs be it Tere Dwaar Khada Ek Jogi, Jaadugar Saiyaan, Mera Dil Yeh Pukaare Aa Jaa was a raging hit but the biggest chartbuster of course was Man Dole Mera Tan Dole which holds the record for most 78 rpm records ever sold of a single song in India. In fact the song pioneered a virtual revolution in film music when Hemanta assistant Kalyanji Veerji Shah (Later on half of the Kalyanji-Anandji team) imported a claviolin and played it to get the sinuous snake music in the film – the first instance of the use of electronic music in Hindi films. Nagin went on to win Hemanta Mukherjee the Filmfare Award for Best Music Director. 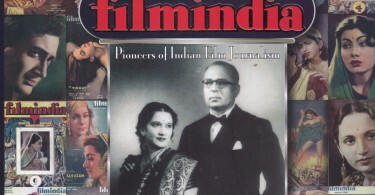 Another big hit as composer the same year and again for Filmistan was Jagriti (1954) which proved that a good film didn’t need stars to make it succesful. All it needed was a good story well told. The music of Jagriti was extremely well integrated into the film and is in fact a highlight of the film. The film thankfully concentrates on the story and doesn’t let the music intrude. 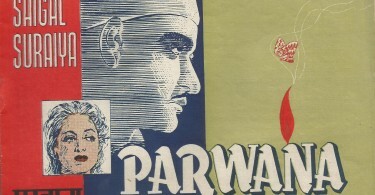 In fact the film has just 4 songs, which for the 1950s was a major risk since songs were essential to the Bollywood film idiom. But then Jagriti is a classic example of quality over quantity. Each of the songs is a minor masterpiece – Chalo Chalen Ma, Dedi Humen Azadi, Hum Layen Hain Toofan se and that evergreen song by writer-poet Pradeep – Aao Bachon Tumhen Dikhayen Jhanki Hindustan Ki. Jagriti represents one of the best scores of Hemanta Mukherjee’s career. By this time Hemanta Mukherjee was rooted in Bombay and in the world of Hindi films. But missing Calcutta and the word of Bengali Cinema, when the opportunity came again to score music for a Bengali film the Uttam Kumar-Suchitra Sen starrer Shap Mochan (1955), he took it up. The music was a smash hit in particular the song Suno Bandhu Suno. With this film, Hemanta Mukherjee became the voice of Uttam Kumar, his baritone becoming a key ingredient in the star’s romantic dramas. Some successful songs of this duo include Jhor Utteche (Shap Mochan), Nir Chhoto Khati Nei (Indrani (1958)), Shuno Bondhu Shuno (Shaharer Itikathaand (1960)) and Ei Path Jadi Na Shesh Hoi (Saptapadi (1961)). In fact, his voice has had an enduring influence on all succeeding male playback singers in Bengali films ever since. Another smash hit with the same lead pair was Harano Sur (1957), a remake of the Hollywood film Random Harvest (1942). The film has one of Geeta Dutt’s most lilting Bengali songs – Tumi Je Amar, adapted by Hemanta as a duet with him and Geeta – Chale Hum Kahaan in the Hindi film Police (1958) but not quite having the same impact. Hemanta Mukherjee continued both as a playback singer and music director in both Hindi films and Bengali films. Some of his prominent Hindi Films were Shart (1954), Ek Hi Raasta (1956), Ek Jhalak (1957), Duniya Jhukti Hai (1960) and Bees Saal Baad (1962). His important Bengali films include Neel Akasher Neechey (1958), Deep Jele Jai (1959), Sonar Harin (1959), Saptapadi (1961), Hansuli Banker Upakatha (1962) and Saat Pake Bandha (1963), Balika Bodhu (1967), Sansar Simantey (1975), Ganadevata (1978) and Dadar Kirti (1980). The peak of Hemanta Mukherjee’s compositional career in Hindi came with Guru Dutt’s immortal classic – Sahib Bibi Aur Ghulam (1962). His evocative music particularly Chhoti Bahu’s songs give the film a haunting and memorable quality. Geeta Dutt’s rendering of the three Chhoti Bahu songs – Koi Door Se Awaaz De Chale Aao, Piya Aiso Jiya and Na Jao Saiyan represents some of the finest singing she has ever done. Her voice with all its sensuality and pain perfectly complements Meena Kumari’s stunning performance perfectly. Chhoti Bahu’s ‘signature tune’ – the melancholic music played each time Bhoothnath meets her adds enormously to the aura of tragedy surrounding her. His own song, Saahil ki Taraf Kashti Le Chal, was left out of the film, a tune he later used to brilliant effect in Anupama (1966) as Ya Dil ki Suno, one of his best ever songs. Perhaps his last film that did well musically in Hindi was Khamoshi (1969), a remake of Deep Jele Jai. The film, produced by Hemanta Himself, however failed at the box office in spite of fine performances from Waheeda Rehman and Rajesh Khanna and some brilliant songs – Humne Dekhi Hai Un Aankhon ki Mehekti Khusbhoo, Woh Sham Kuch Ajeeb Thi and Tum Pukar Lo. Thereafter much of his work was to do with Bengali Cinema. And he continued coming out with non-film disks for HMV right through the mid 80s. Hemanta Mukherjee also produced films showing a penchant for thrillers – Bees Saal Baad and Kohra (1964). But even within the thriller format his music stood out be it the haunting Kahin Deep Jale Kahin Dil, Beqarar Karke Humen Yoon Na Jaayiye or Zara Nazron Se Kehdo Ji in the former and Yeh Nayan Dare Dare and Jhoom Jhoom Dhalti Raat in the latter. He also produced Pinaki Mukherjee’s Faraar (1965), Hrishida’s Biwi Aur Makaan (1966), Tarun Majumdar’s Rahgir (1969) and the above mentioned Khamoshi. He wrote his autobiography Amar Ganer Swaralipi which came out in 1988. Hemanta Mukherjee passed away due to a heart attack in Calcutta on September 26, 1989.